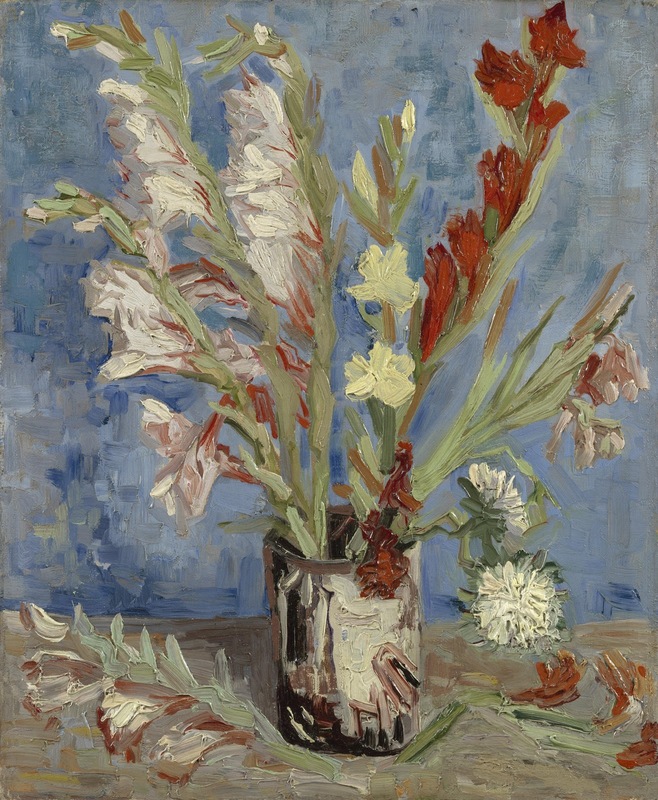 This is one of more than 35 flower still lifes that Van Gogh painted in Paris in the summer of 1886. He hoped that paintings of flowers would sell well. These were also exercises in the use of colour and a loose style of painting.